‘Fox stepped swiftly through the door. There was an audible click. And there came the sound of a bolt sliding into place. What follows is the stuff of nightmares…’ Just when the bereaved and troubled Dr Alastair Cameron-Strange rediscovers his life on the other side of the world, the British authorities track him down. They recruit him on a mission which takes him to the farthest reaches of New Zealand, to Xanadu with all its grotesque gargoyles, chief among them Phineas Fox, the American business tycoon whose baleful eye is on the White House. There s something not quite right about Mr Fox, and Cameron-Strange, with the help of the beautiful Nikki, is determined to find out what it is. He survives six ordeals, but will he survive a seventh? I am delighted to welcome you to my stop on the The Seven Trials of Cameron-Strange blog tour. The Seven Trials.. is book two in the Cameron-Strange series written by ‘doctor turned author’, James Calum Campbell. I would like to wish James and Impress Books a very happy publication day. I am thrilled to be hosting my very first guest review as well! I thought I would start with blogging royalty (as you do!) so today the incredibly talented and very lovely Liz Barnsley of Liz Loves Books shares her thoughts on this exciting thriller. 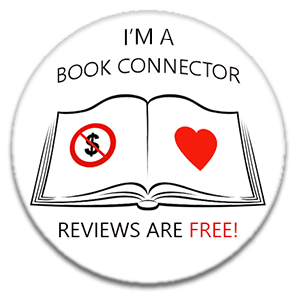 If you haven’t already, please do check Liz’s blog out – it’s superb, her passion for books and authors shines through. This is actually the second novel featuring Dr Cameron -Strange and it was an interesting read for me, a very different feel to the narrative within an imaginative and clever thriller that is pacy and engaging. James Calum Campbell has a great way of writing that draws you in, I liked how the plot played out, with an opening that made you just want to know – then taking us back to see how we got there. This is one of those novels that is gripping but not perhaps in the usual ways. I loved the medical angle it allowed for some beautiful layers to the story, for me this was a fast and satisfying read and one that would certainly bring me back to this author again. Solid storytelling here. Recommended if you’d like a thriller with a different angle. Thank you Liz. I can’t wait to read this one for myself as it sounds fascinating. James Calum Campbell was born in Glasgow. He read Medicine at Edinburgh, and practised in Papua New Guinea, Queensland, and Auckland, where he was Clinical Head of the busiest emergency department in Australasia. He now divides his time between Scotland and New Zealand. Great review! Just when I’ve decided I can’t add any more books to my TBR pile this one sounds really good! Many thanks indeed for your kind remarks on my “Seven Trials”. I am walking on air! I’m heavily involved in Part 3 of the life of the troubled doc, and you inspire me to continue with an even more bizarre “set of idiocies”. Dr Cameron-Strange would have loved that!